A high school in Massachusetts has gotten positive results after forcing students to relinquish their cellphones before school every day. After they arrive at City on a Hill Charter School in Boston, the students hand over there cellphones, which are turned off and placed in pouches. The pouches are locked up for the day. Principal DeOtis Williams Jr. told WMUR that the program, which launched at the beginning of the current school year, came to him after he noticed that students were becoming increasingly distracted by phones in the classroom. “We noticed in previous years that there has been an increase of cellphone use, cyberbullying, using phones in class under the table. They are more engaged in cellphones than being in the present moment,” said Williams. Teachers have loved the program, finding students are paying better attention in class. And students, surprisingly, have loved it as well. “My friends have been talking a lot more to me. They weren’t on their phones, they were actually conversing and talking,” Yalena Terrero told the broadcaster. Even students who don’t like it must obey, Williams told NPR. “It’s like my mom used to always tell me. Kids know what they want but don’t know what they need. We know what the students need,” he said. Research shows that students who use phones have trouble paying attention in class. Researchers at the University of Texas and Louisiana State University surveyed cellphone policies across schools in four English cities from 2001 to 2014. They found cellphone bans led to students scoring around 6 percentage points higher, with the effect twice as great for low-achieving and special needs students. “We found the impact of banning phones for these students equivalent to an additional hour a week in school, or to increasing the school year by five days,” said Richard Murphy, an assistant professor of economics at the University of Texas-Austin, reported CBS News. While some proponents of technology argue that phones and other devices help students take notes, research in that area has also found that limits are useful. 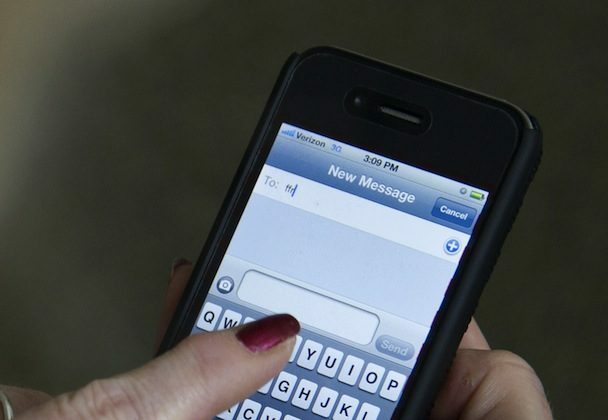 Dr. Jeffrey Kuznekoff, assistant professor of communications at Miami University in Middletown, Ohio, conducted an experiment related to phone usage. He let college students take notes on phones during a video lecture. One group of students could text or tweet anything while another could only text or tweet about things related to the lecture (a control group couldn’t text or tweet at all). The students who couldn’t text or tweet anything did 70 percent better on the test than the students who could communicate about anything, reported Science News for Students. “You’re putting yourself at a disadvantage when you are actively engaged with your mobile device in class and not engaged in what’s going on,” noted Kuznekoff.